Major Update On Daniel Bryan's Status For WWE Crown Jewel - Wrestling Inc.
As noted, Daniel Bryan was reportedly refusing to work Friday's WWE Crown Jewel event in Saudi Arabia. Robbie Barstool of Barstool Sports first reported last week that both Bryan and John Cena would not be appearing at the show, despite being advertised. Cena was scheduled to be a participant in the World Cup tournament at the event. On last night's RAW, it was announced that Bobby Lashley would be replacing Cena in the tournament. The storyline reason for the change was that Acting General Manager Baron Corbin was pleased with Lashley's performance against Finn Balor on the show so he would replace Cena in the tournament, since Cena never actually qualified for it. WWE originally announced Cena as the first tournament participant without needing to qualify due to his prior accomplishments. 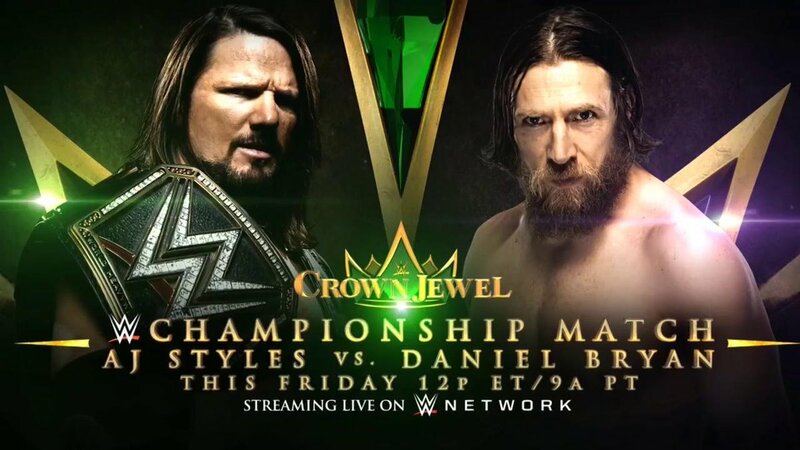 Bryan was scheduled to challenge WWE Champion AJ Styles at Crown Jewel. Despite WWE taking out new advertisements to promote the match, Bryan will not be going to Saudi Arabia for the event either, according to PWInsider. WWE reportedly started making other plans regarding the match last week. According to the report, WWE at one point had planned not to send Styles to Saudi Arabia either, and were planning on filming their match at the Performance Center in Orlando with it airing during the Crown Jewel broadcast. That idea was dropped yesterday while they were in the middle of production plans. It's not known how WWE plans to handle Bryan's absence, although they are advertising that Bryan and AJ will be on tonight's SmackDown to promote their match. They could always film an angle to postpone the match until Survivor Series, or have Styles face someone else this Friday. The PWInsider report noted that no final decision had been made as of last night on how to proceed.